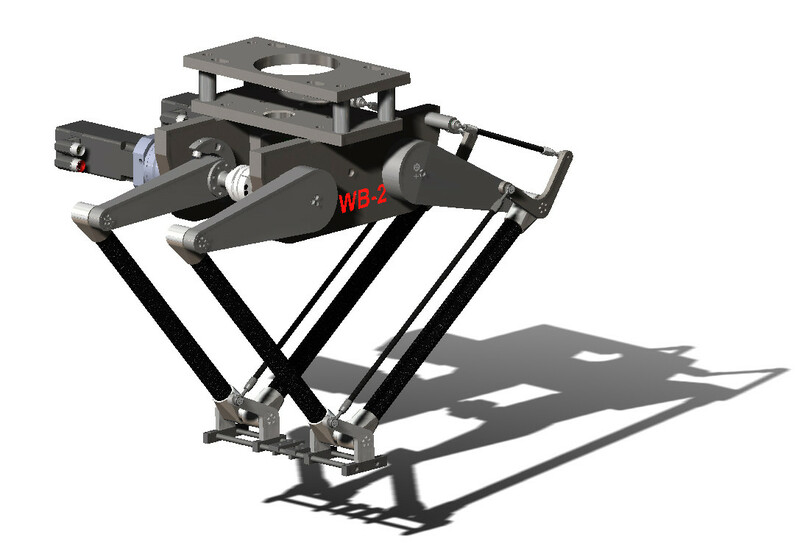 WestBison Technologies is the pioneer to design and develop delta 2D (or two-axis) robot in Asia. WestBison robots are supplied with standalone controllers. The controller is using standard ladder programming and communicating with other device through DI/DO or Ethernet. There is no need for customer to learn another programming language. WestBison robots could also be controlled by various type of control systems provided by our customers; this eliminates the tedious integration process of using one robot controller and one machine controller, and saves a lot of hardware cost and engineering time. WB-2 two-axis robot is specially designed for packaging industry.